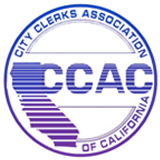 The primary goal of CCAC is to actively promote the continuing education and professional development of City Clerks through extensive education programs, certification, publications, networking, annual conferences and research opportunities. From offering training on the basics of the City Clerk’s office at a 1 1/2-day Nuts & Bolts Seminar, to mastering the profession through the Master Municipal Clerk Academy, CCAC is dedicated to providing you with resources to assist you in your professional growth as a Clerk. We offer scholarship opportunities for our educational offerings and have an extensive Mentoring Program designed to support you through the process of achieving Certified Municipal Clerk accreditation with the International Institute of Municipal Clerks (IIMC). 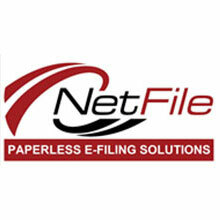 Please click on any title to view the educational program offerings and resources. Please view the Events Calendar for additional information and current session dates of educational offerings. CCAC has joined the ICMA Coaching Program as an Outreach Partner. Now our members have direct access to ICMA career coaching services, webinars, publications and a library of resources to broaden our professional knowledge, free of cost. The International City & County Management Association (ICMA) offers the Coaching Program to all local government employees as a professional development resource. Any CCAC member or any employee in their department or agency may participate, and participants in the Coaching Program are not required to be ICMA members. Career Compass advice columns that address critical career issues. Visit the ICMA website for more details on how to participate in this exciting program.